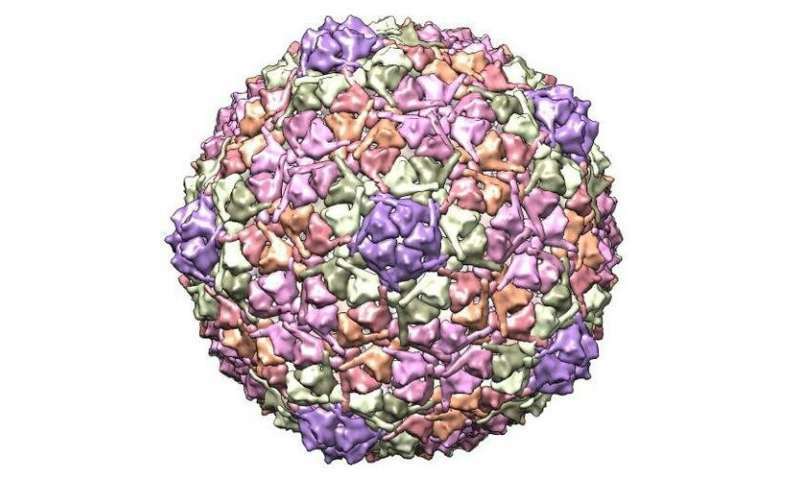 Viruses that infect bacteria have a protein shell that forms a "head" shaped like a polyhedron with 20 triangular faces. Inside the head, the virus's DNA is packaged very tightly—almost as dense as a crystal—and under great pressure. When a virus binds to a cell that it infects, the pressure is released through a small hole, or portal, in the virus head. Then viral DNA is rapidly injected into the cell.